It’s that time of year again — to give thanks for all that we have. 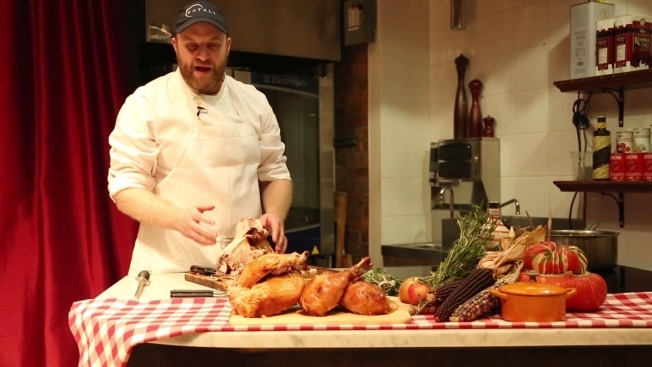 Thanksgiving is a truly American holiday, one that is deeply rooted in tradition. The first Thanksgiving goes all the way back to 1621 when the Pilgrims sat down with the Wampanoag to celebrate the harvest at Plymouth Colony, according to Smithsonian.com. 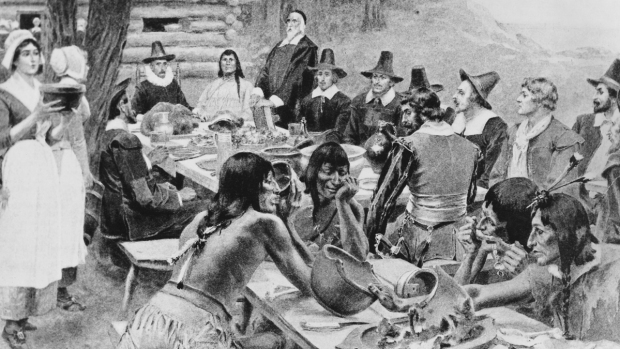 A depiction of early settlers of the Plymouth Colony sharing a harvest Thanksgiving meal with members of the local Wampanoag tribe at the Plymouth Plantation, Plymouth, Massachusetts, 1621. More than 150 years later, the Continental Congress issued the first national Thanksgiving Proclamation in 1777. But it wasn’t until 1789 that President George Washington issued the first Presidential Thanksgiving Proclamation. “I do recommend and assign Thursday the 26th day of November next to be devoted by the People of these States,” Washington said. Since then, food and family have become synonymous with the holiday. Many of us will spend time prepping the turkey and pumpkin pie and decorating the table for family and friends before settling down to the feast. But if you think eating a turkey on Thanksgiving is overrated, why not change your holiday routine and break free from tradition? Go meatless! Sure, turkey is the go-to fare for Thanksgiving, but going meatless does have some benefit. Not only can you cater to the vegetarian guest, it will also eliminate the post-meal food coma. There are many different options out there, from vegetarian sides to main dishes like the mushroom and kale-stuffed squash. And, of course, you can still get the feeling of a turkey without the actual bird — products like soy-based Tofurky are a popular alternative to the real thing. 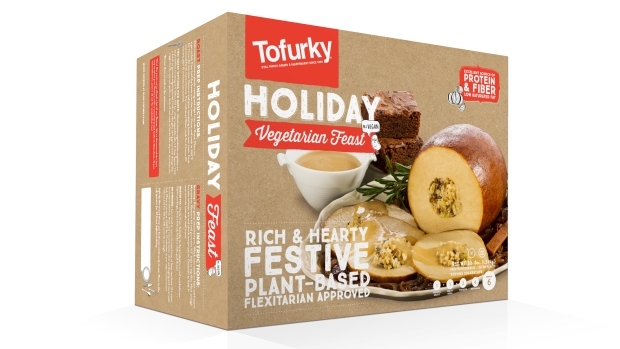 "We’re so proud to see that alternative holiday meal traditions, which were once a niche phenomenon, have become legitimately mainstream in the 20-plus years we’ve been making Tofurky Roasts," said Jaime Athos, CEO and president of Tofurky. Whatever you decide to eat, why not ask your guests to wear an ugly Thanksgiving sweater? Since they’re not just for Christmas anymore, you can wear these delightfully tacky, non-traditional sweaters while you and your loved ones give thanks. Staying active is a great way to help burn off the Turkey Day calories, to help alleviate the boredom and promote togetherness. The President's Council on Fitness, Sports and Nutrition recommends 30 minutes of activity a day for adults and 60 minutes a day for children. Why not kick around the ball, try paintball or go bowling, too? Having Thanksgiving at a restaurant is also a non-traditional holiday option — especially if you can’t fathom the idea of spending all that time cooking. More than 33 million Americans will visit restaurants during Thanksgiving this year, according to the National Restaurant Association. There are a number of national chains including Bob Evans, Sizzler, Morton’s and Cracker Barrel that will be offering holiday specials. You might also consider giving back to the community while giving thanks. There are hundreds of organizations across the country that are looking for volunteers to serve Thanksgiving dinner to those in need. 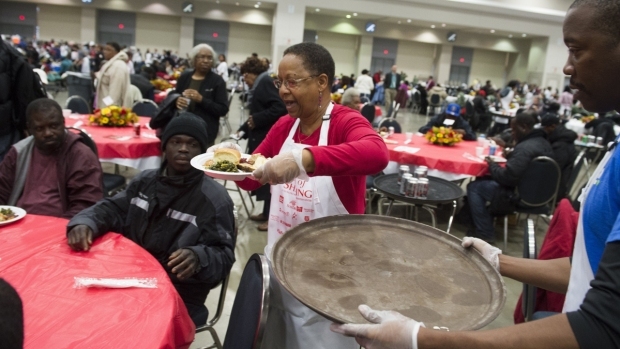 Volunteers hand out traditional Thanksgiving meals during the "Feast of Sharing" event at the Washington Convention Center in Washington, DC, November 26, 2014. "We hope all Americans will consider making volunteer service a part of their holiday tradition and invite their friends and families to join them," said a spokeswoman for the Corporation for National and Community Service. More than 25 percent of American adults volunteered 7.7 billion hours of time — including holiday time — in 2013, according to the organization. Trying something new may just open you up to new holiday traditions.